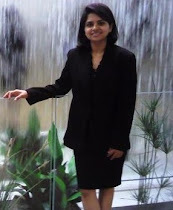 Technology Musings by Priya: "MSIX" - Yet another installer format? Wait, there is more to it! Today we are surrounded by "intelligent software"; from the code running on your smartwatch to highly sophisticated software in driver-less cars; from programs embedded in kid's electronic toys to training the robots. The future is all about intelligent code. Then why to leave the installers behind? We are working on making the installers smart enough, ready to face challenges of the next generation of computing. Taking MSIX beyond "just an installer format"
Early this month, Microsoft announced the launch of its new file format .MSIX. This will be the format for Windows applications going forward. For years Microsoft have been trying out different file formats to make application installation/deployment experience better. During olden days, all the apps used to be in .MSI format, then came the app virtualization king .AppV. Later in Win8, a forked out version of AppV's code base gave birth to .AppX format. This was the format generated by Project C (Centennial). Currently, the .AppX format is used for Windows Store apps, the UWP (Universal Windows Platform) apps and native applications in Windows 10; whether it is MS Office or Edge browser, they are all in .AppX format on Win10. And now with the launch of .MSIX format (which is mainly .AppX), Microsoft is planning to bring all .MSI and .AppX formats into .MSIX. That's interesting! However, legacy apps and OS migration have always been a pain point for IT Pros. Since the launch of Universal Windows Platform (UWP), there have been issues reported by users where the applications couldn't be migrated to the UWP format without heavy code change. There are known limitations (documented on Microsoft's page) for migrating apps to these latest platforms. In most cases, a rewrite of the application was needed which costs time and resources. Stuck on any of these issues? Have a legacy Win32 or a .NET application still stuck on WinXP/7/8, Server 2003/2008/2012; not compatible with Windows10/Server2016? Your application doesn't adhere to UWP standards? Desktop Bridge is failing to port your app to UWP? Don't want to change or repackage your existing AppV package? Unable to convert the application to App-X format? The Golden Words.. No Code Change or Repackaging! Yeeeeh!! Those are the magic words every techie would like to hear (or may be 90% of us). Migrate all these applications to shiny new MSIX format without any change in source code, without even touching your existing .MSI, or .Exe or .AppV package using Cloudhouse's patented technology. Your existing code or AppV package will remain intact without any change in its checksum. Cloudhouse's virtualization engine fixes all these issues at runtime using its "redirection engine". This engine interprets the Windows API calls made by the application before they reach the operating system. Hence neither the application nor the operating system notice any change. The virtualization layer does this by tapping into the system calls made by the application for operations related to files, registries, kernel objects (sempahores, mutex, filemapping objects, events etc. ), networking calls, etc. Stay tuned to see more innovative solutions for next generation of installers taking apps from "XP to MSIX".